In the wake of the May 22, 2017 Manchester England attack in the UK, a closer look at perimeter safety in Boston reveals potential holes in security. Todd McGhee joins Karen Hensel on NBC Boston on Part 2 of this investigative report on soft targets in Boston. The participants in these videos are young, daring urban explorers roaming the forbidden zones of Boston. These urban explorer made their way on the field at Fenway Park after hours. They dangle from hotel rooftop and walk the tunnels of the MBTA. Todd McGhee joins Karen Hensel on NBC Boston investigative report on soft target security breaches. On May 22, 2017 police say a lone male attacker carrying an improvised explosive device was responsible for a bombing at Manchester Arena at the end of concert. The explosion at the end of a sold-out Ariana Grande concert has killed 22 people and injured 59 others. 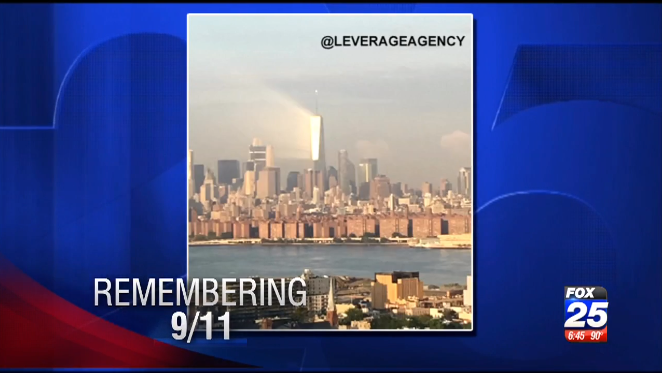 Todd McGhee joins Sara Underwood on the Boston 25 Morning Show to discuss and analyze the details of the attack. January 6th 2017 Breaking news in Florida. After a deadly shooting in Fort Lauderdale, security expert Todd McGee speaks about what investigators will do following the attack. Click here to see the full report. In December of 2001, just a few short months after the 9/11 attacks, Richard Reid (aka "Shoe Bomber") was arrested at Boston Logan Airport. In February of 2014 the intelligence community reports that shoe bombs are still a threat to aviation security. Todd McGhee joins Fox 25 to discuss the details. In March of 2014 Malaysian Airliner Flight 370 mysteriously disappeared. 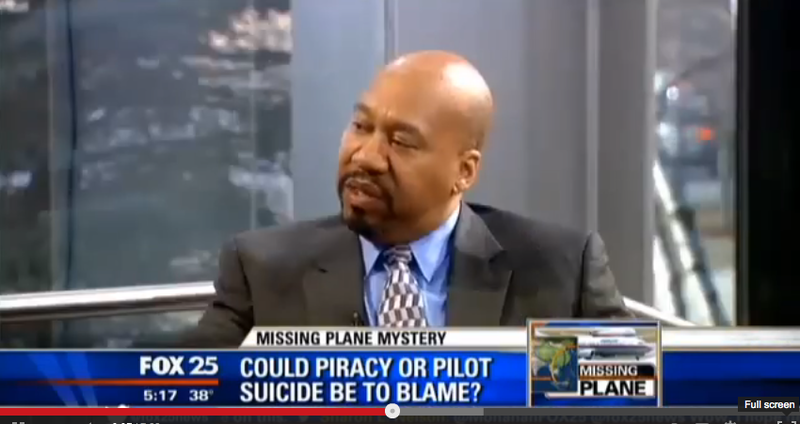 Todd McGhee appeared on Fox 25 to discuss the bizarre factors of this tragic incident where it was believed the pilot of the aircraft may have crashed the aircraft into the Indian Ocean. Malaysia Airlines Flight 370 disappeared on 8 March 2014, after departing from Kuala Lumpur for Beijing with 239 passengers and crew members on board. Click image to watch full report. In April of 2013 the Boston Marathon was targeted with two explosions killing three and injuring more than 200 others. Todd McGhee joins Jim Broade on NECN to discuss the post investigation and the clues that law enforcement will likely key on during the man hunt that eventually identified Tamerlin and Dzockar Tsarnaev as the perpetratiors. Click here to watch the full report. On December 14th, 2012, 26 people of which 20 students and 6 adults -- were shot and killed at the Sandy Hook Elementary School in Newtown, Connecticut. Todd McGhee discusses the details of the post investigation report released by the authorities with Fox 25. Click here to watch the full report. On March 22, 2016 two explosions, at least one caused by a suicide bomber, in the departure hall at Brussels Airport killed some 10 people just before 8 a.m. local time on Tuesday, or 3 a.m. Eastern time. About an hour later, an explosion at the Maelbeek subway station in central Brussels, not far from the European Union’s core institutions, killed about 20 people. Todd McGhee joins Channel 5 to provide insight and analysis as this breaking story developed. Click here to watch the full report. Todd McGhee's interview with Fox 25 Bob Ward. Click the image to see the full report. The local headlines read..."A local security company helped train the DC transit officer that is accused of being an ISIS sympathizer." The now former officer for the Washington, D.C. region's transit system allegedly bought about $250 worth of gift cards in an FBI sting for someone he thought was working with the Islamic State group. In 2012, Nick Young sat in a training session with Protecting the Homeland Innovation, as reported on FOX25 News at 5. Click image to see full report. It's been more than 15 years since people without tickets have gone through airport security. The Sept. 11, 2001 attacks on the Twin Towers in New York City forever changed security in the United States, especially at airports. Todd McGhee discusses what more needs to be done for aviation security around the country wit Fox 25. Click image to watch the full report. The search for a dangerous escaped inmate has focused on Framingham and police are warning residents to be on the lookout. Prisoner James Morales was captured the day on January 5th, 2017 after this interview with Kathryn Burcham from Fox 25.